This website is an introduction to the life and service of Rep. John P. Murtha (1932-2010), a member of the U.S. House of Representatives from 1974 until his untimely death in 2010. One can find information through the physical archive of papers, audio-visual materials, and objects which reflect his life and accomplishments. The papers detail Rep. Murtha's efforts to work on behalf of the 12th Congressional District of Pennsylvania, as a long-time chairman of the House Defense Appropriations Subcommittee, and as a public servant to the American people. 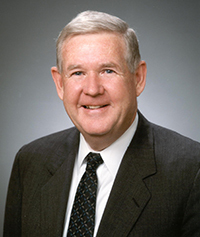 The John P. Murtha Congressional Papers are physically retained and made available in the Archives Service Center at the University of Pittsburgh.